Mayor officially opens new build! 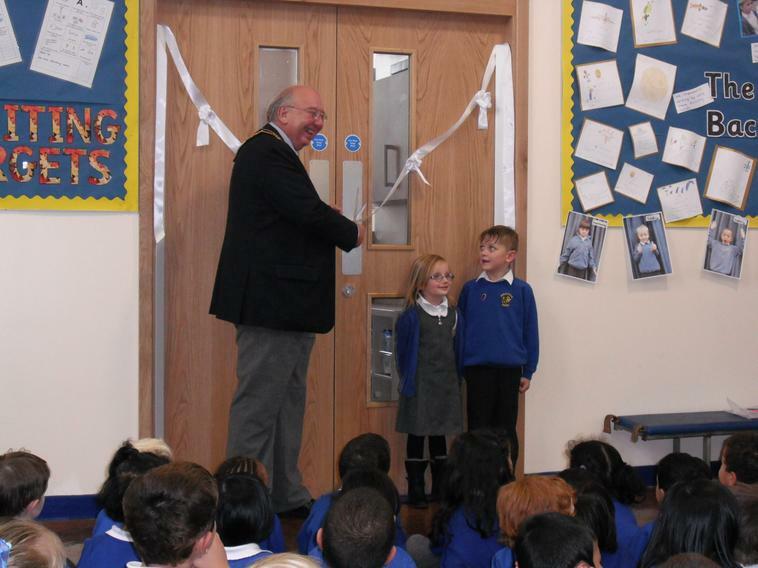 Today our new KS1/Foundation buidlings were officially opened by Stan Heptinstall, Mayor of Broxtowe! In front of an excited Foundation and KS1 audience, the new classrooms and Foundation unit were opened, with just a little help from some KS1 children!